"I recently completed your body language course and I must say I really enjoyed each and every moment of it." 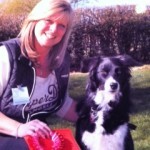 "I work as a dog trainer and your course this has helped me learn an awful lot more and things to look out for. I also have 2 beagles so this course has not only been useful in the workplace but at home too. So, thank you so very much." "I really enjoyed every minute, easy to follow and very well laid out with so much valuable information." 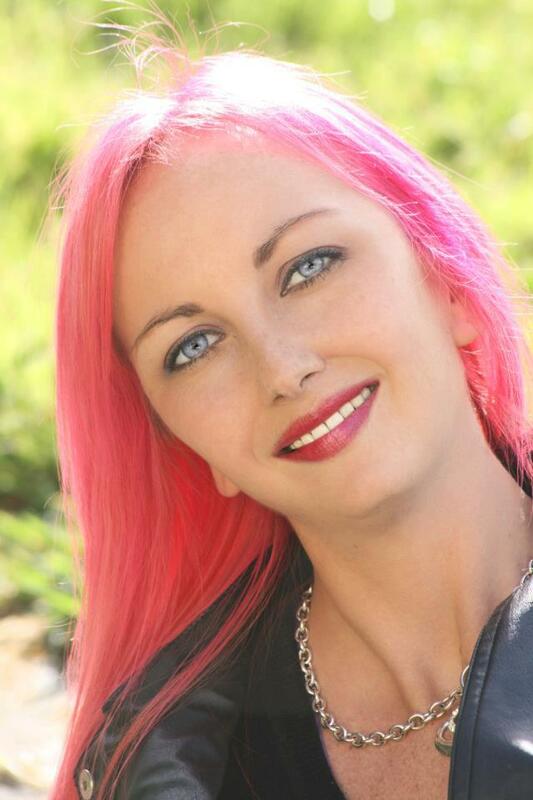 "I just wanted to give feedback on the 90 day Programme course I have just completed. This was fabulous, a really interesting course and I really enjoyed every minute, easy to follow and very well laid out with so much valuable information. Thank you once again and I look forward to the next webinar and further on line courses." "Andy Cook, kennel supervisor, from RSPCA North Somerset was nominated for the Learn To Talk Dog free animal charity place by his manager Nikki Tutton. 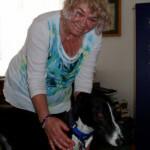 She says, "Over his 7 years working with me at the Animal Centre his love, interest & skills have grown immensely. 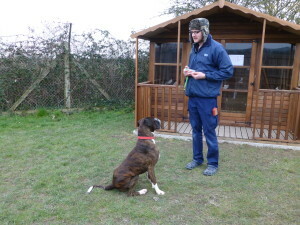 Through his expanding knowledge, we have implemented many improvements in how we care for our rescue dogs and are focused to spread the understanding of dog behaviour and communication to all those that work with us, be it on a voluntary or paid basis. Andy has shown incredible commitment over the years. 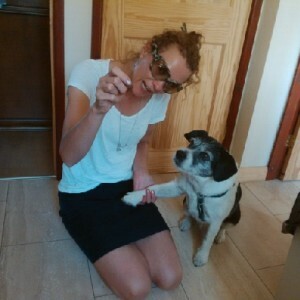 I try and support him wherever I can to allow him more experience to benefit our rescue animals." Well done Andy. We salute you! Update.... Andy says: I am currently on the 90-day programme and really enjoying it. 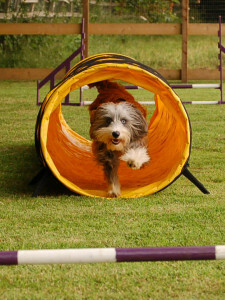 Working at an RSPCA rehoming centre I am always looking for ways to help our staff understand the dog better, I feel that the 90 day programme will help them enormously, so I will be encouraging them to look into doing this as part of there personal development. Thanks again for allowing me a charity space on the 90-day programme." "Wonderful lessons! Thanks so much!!!" "I just wanted to say how much I enjoyed the course, how much I learned and how much the interest I already had in this subject has progressed. Observe, observe, observe the whole, the entirety...good lesson, wonderful lessons! Thanks so much!!!" "I was amazed at how much I learned in such a short space of time." 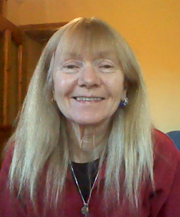 "Just to let you know have just finished the online course - brilliant! LearnToTalkDog is not only a hugely useful course for the dog owning public must an absolute must for anyone working with dogs in a professional capacity. I was amazed at how much I learned in such a short space of time. 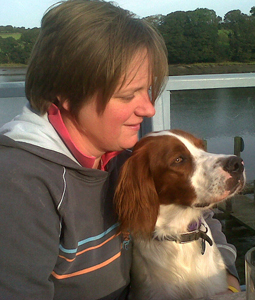 I now look at dog:dog and dog:human interactions in a whole different way and feel that as a result of this course I am now much better placed to recognise the signals dogs give." "It's fun, fascinating and empowering!" People's familiarity with dogs doesn't necessarily reflect a knowledge and understanding of their behaviour needs of course, but this medium seems a fantastic and effective way to teach this sort of understanding. It's fun, fascinating and empowering!" "I found it very interesting and helpful!! 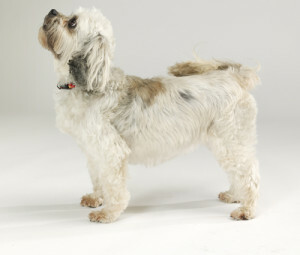 I am a dog groomer so come across quite a few dogs that don't enjoy the grooming process!! However since reading your book and doing your short course I have avoided getting bitten!!" "Informative, easy to follow and thoroughly enjoyable"
"I have just completed Module One of the ‘Learn to Talk Dog’ online training. I found it informative, easy to follow and thoroughly enjoyable – all the things that make up a good course. I can’t wait for Module Two!" 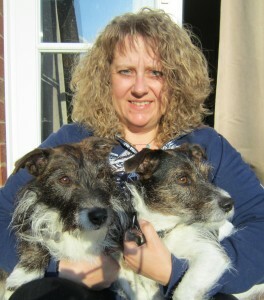 "I am looking at my dogs quite differently now"
"Hi Sarah Just wanted to say how much I enjoyed completing Module 1. I am looking at my dogs quite differently now"
"Thanks for your wonderful webinar last night! I thoroughly enjoyed it!" "I learnt a great deal"
"Hi Sarah, I just wanted to tell you how much I enjoyed last night's webinar. I learnt a great deal from it - what you had to say was so interesting and really seemed to "sink in". As soon as you finished speaking, I went to the website and signed up for the 90 day course. Can't wait to get started! Thank you!" "It was fun and sprinkled with a lot of humour, heartfelt and just the sense of you loving the subject 'dog'"
"I have just watched your webinar tonight and really loved it . It was informative, had a lots of examples and explanations. It was fun and sprinkled with a lot of humour, heartfelt and just the sense of you loving the subject 'dog' (and inspiring everybody else)." "The webinar was absolutely fab! It made me realise that I know more about dogs than I thought! You were totally engaging and brilliant to listen to." "Thank you, it was brilliant!" "Fantastic webinar tonight, the first time I have ever been involved in anything like it before, thank you, it was brilliant!"